It’s been a hot summer in Melbourne, an odd summer really. There hasn’t been much middle ground. It’s either really hot, or back into the mid-20’s. Until this week there’d been very little rain. It hasn’t been a good summer for vegetables. Zucchinis are stunted, tomatoes were green too long, then ripened too fast. Bean flowers were burnt to a crisp. But among the disappointment of failed vegetables we had a rather surprising victory. I planted the peach tree in 2010 because it was on clearance at Bunnings and was already bursting into pink blossoms. I bought it because I wanted a blossom tree. 2011 was a dud year. It didn’t flower or really grow. In 2012 it decided to try flowering again and looked really pretty. It even produced two peaches. Which was pretty exciting especially since the whole tree was covered in leaf curl. 2013 came and I’d forgotten to treat the leaf curl while the tree was bare. 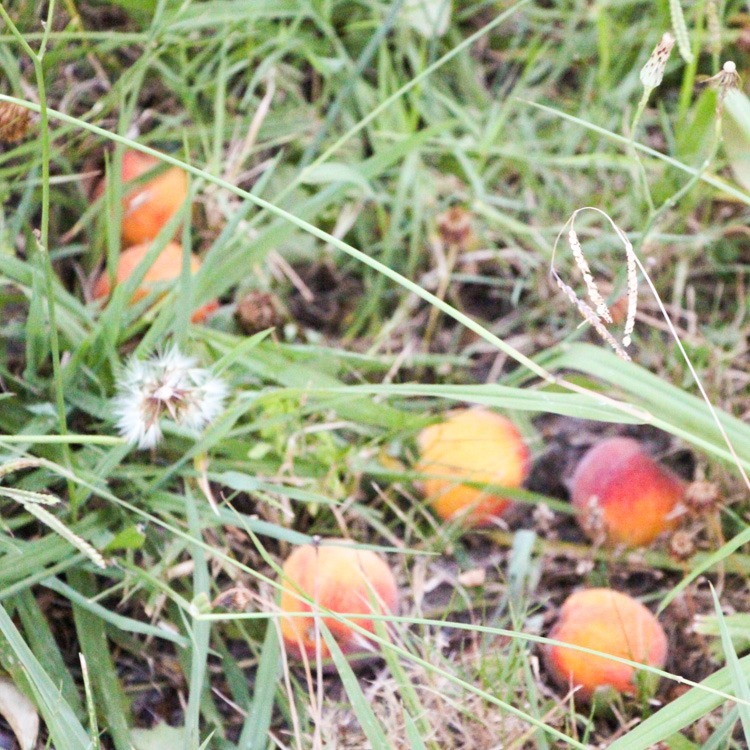 It didn’t bother it too much though as it blossomed rather spectacularly in late August then produced lots and lots of tiny peaches. 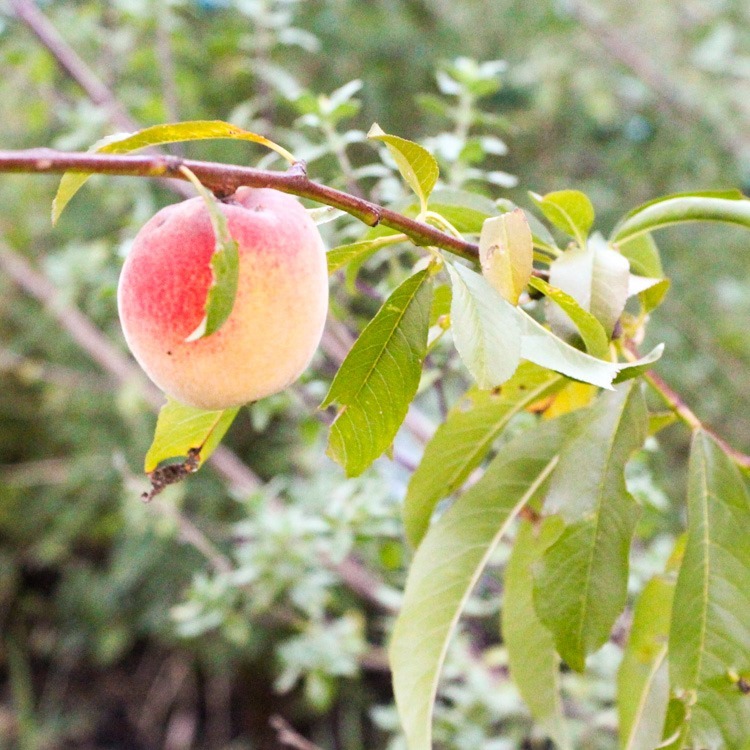 The leaf curl set in and leaves began to drop but at least half of the tiny peaches held on. 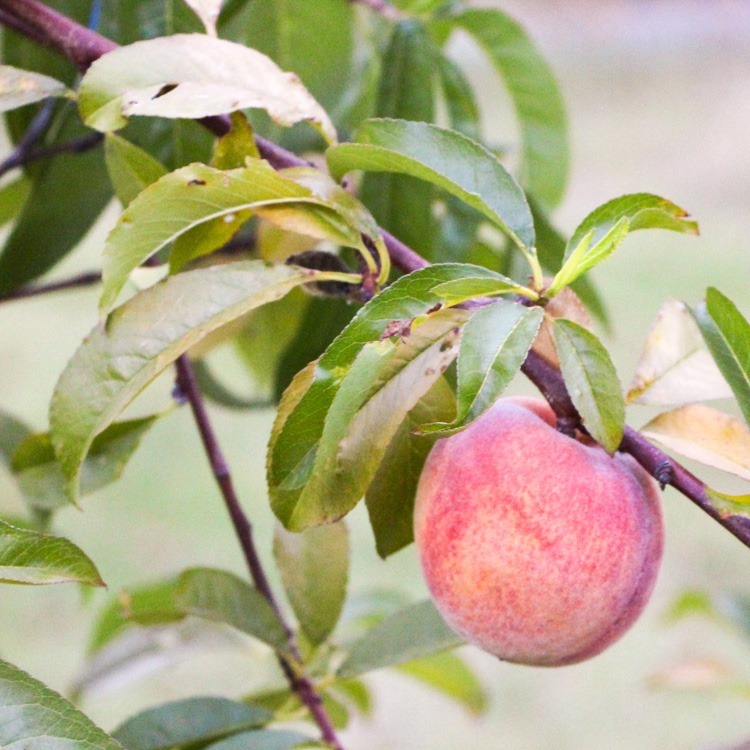 This year we beat out two peach record by at least 50 peaches! 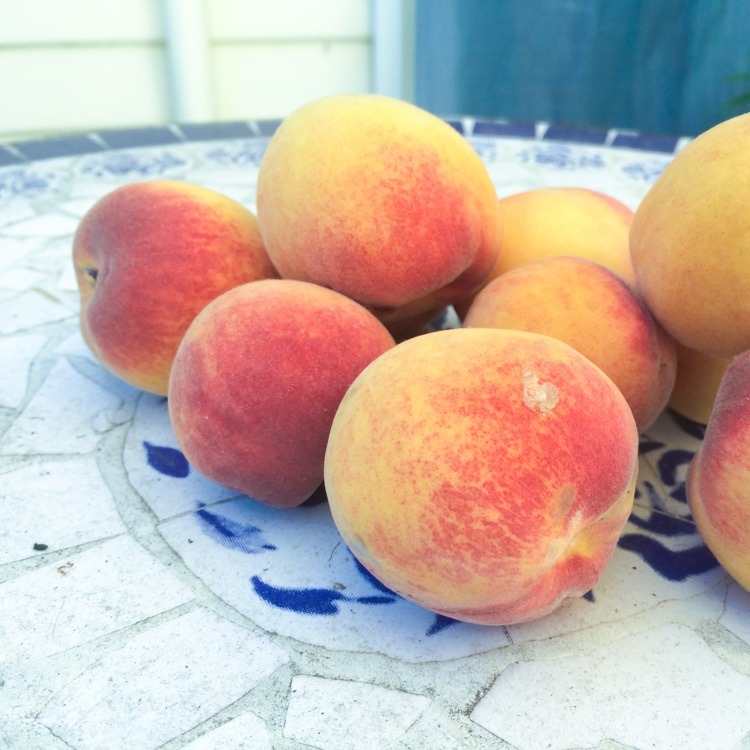 They were small, but delicious, none of the watery-ness that store bought peaches have these days. The local wattle bird thought they were tasty too, and unfortunately we lost around 20 to it. But 30 peaches! It makes up for losing all the veggies. 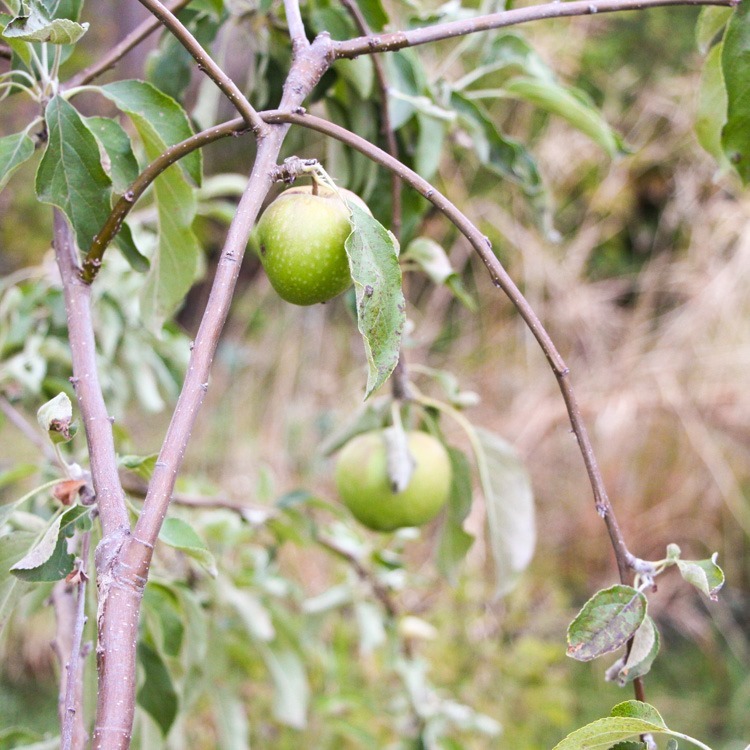 The apple tree has apples too. These aren’t ripe yet, and they’re a little hail damaged, but hopefully we can taste them soon. This is our first year for apples.